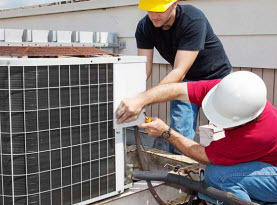 Ambient Heating and Air Conditioning is a full service HVAC system contractor, supplying commercial businesses and residential homes of Hampshire and Hamden County, Massachusetts with a number of quality HVAC services. We are completely certified, licensed, and insured to offer our professional expertise and labor with affordable rates. Our technicians are trained, experienced, and skilled professionals that are more than qualified to perform any task associated with our services. 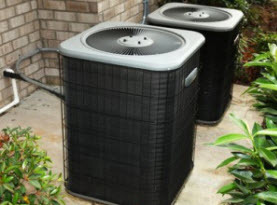 In addition to having high-ranking professionals Ambient Heating and Air Conditioning utilizes high-end products and equipment available only to licensed professionals to ensure our valued customers receive nothing less than premium results. Ambient Heating and Air Conditioning is committed to bringing a phenomenal experience every time you need our services by not only delivering superior quality, but by conducting ourselves in a professional matter with high morals and work ethics and friendly customer service. As part of our customer service, Ambient Heating and Air Conditioning have compiled a frequently asked questions list to help our customers get the answers they are looking for with convenience. If you do not see your question, always feel welcome to call Ambient Heating and Air Conditioning and we will gladly answer any of the questions you still have. Q: What maintenance is involved for my HVAC (Heating, Ventilation, and Air Conditioning) system? A: One of the best things you can do for your HVAC system is consistently ensure there is no air flow restrictions. To do that, maintain the air filters, we recommend inspecting them every month and cleaning or changing them accordingly, but never allow more than 3 months to pass by without cleaning or replacing, whether or not they look like they need it. The coils need to be free of dust, dirt and debris for optimal performance. As part of Ambient Heating and Air Conditioning maintenance services, we thoroughly clean off the components and units that run more efficiently with proper air flow. Q: What is the general life expectancy for a HVAC system? A: There are many determining factors that project the longevity of your HVAC system; regular and proper maintenance, quality of the HVAC system and components, and so on. The A/C unit typically lasts 12-15 years, the furnace 20-25 years, and other components will function anywhere from 10-25 years. A: Zoning systems are designed to enhance the efficiency of the heat or cool individual sections of your home by treating the air accordingly to your set preferences. This can be accomplished by a few different methods. Q: When can I expect to see that my HVAC system needs to be replaced? A: Some red flags can be observed when your system needs to be replaced. If your HVAC system is over 12 years old, has had excessive repairs in the last 2 years, and shows inefficiency during operations or it is not energy sufficient on a consistent basis. The HVAC system’s engineering has evolved to be incredibly energy efficient, which saves you money on operating costs. If your system is experiencing wear and tear causing more and more repairs, it is worth the investment to get a replacement. 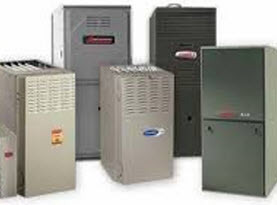 Q: What should I know about replacing my HVAC system? A: The SEER rating of the A/C unit. The larger the number the better the efficiency is and the higher percentage of AFUE for furnaces. Know that systems are not a one size fits all and there is a mathematical equation used to determine what size is needed. Air ducts need to be properly designed and fitted for optimal delivery and airflow. 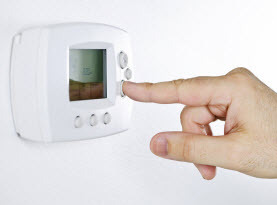 If you are need of a an HVAC system expert in the Hampshire and Hamden County, Massachusetts area, contact Ambient Heating and Air Conditioning today!